Synopsis: In the late 1870s 20 Irish emigrants were executed for the murder of 16 men. Ten of those convicted were hung on the “Day of the Rope” – the largest mass execution ever held in the United States. The condemned men were allegedly members of the Molly Maguires – a ruthless order of assassins that coal bosses claimed terrorized the Pennsylvanian coalfields. 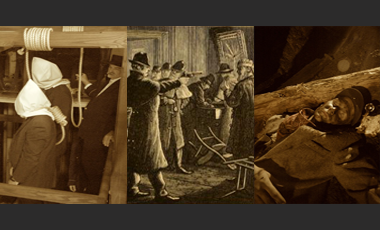 But the case of the Molly Maguires has remained one of the most controversial events in American Labor history, symptoms long after the last corpse swung from the scaffold.